2nd Toilet, Smoke and Carbon Monoxide Detectors, Radio, first aid kit, fire extinguisher, hoover and freeview. Outside you will find a BBQ, table and chairs and 2 sun loungers. Inside you can have your first cuppa on us as Coffe/Tea and sugar will be left for you. Deposit 25% at time of booking plus £50 refundable breakage deposit. Balance to be paid minimum 8 weeks prior to holiday. Please note prices DO NOT include park passes. Standard bookings run from Saturday to Saturday but feel free to contact us to discuss different dates. We also offer Fri-Mon and Mon-Fri breaks out of the high season at £150, contact us for details. 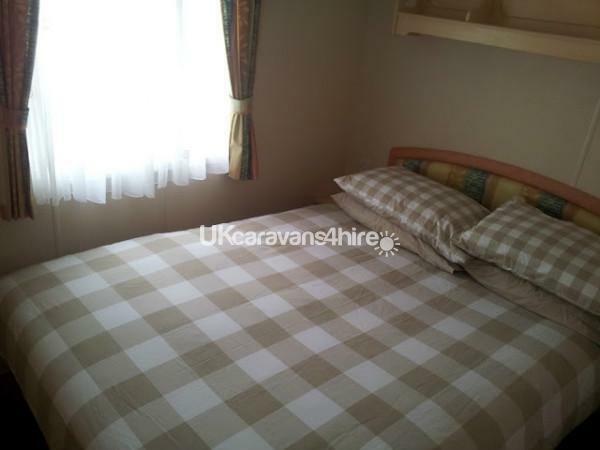 The caravan has three bedrooms. One double bedroom. Two twin bedrooms with two single beds. There is also a pullout double bed under the sofa in the lounge. It is double glazed and has blown air heating throughout and a gas fire in the lounge for those cold nights! The bathroom has a spacious shower, wash basin, toilet. There is a 2nd separate toilet and handbasin. The kitchen is fully equipped with a full size gas cooker, microwave, fridge/freezer, toaster, kettle, all cutlery and crockery is provided. The lounge is very spacious, with a full size dining table and chairs and gas fire. There is a 37"TV freeview and DVD player. There is an iron and ironing-board. Outside there is a patio area with table, chairs and a BBQ for use. Hot water, gas and electricity are provided at no extra cost. Duvets and pillows are provided, you will need to bring your own covers. Bed linen can be hired from reception. There is parking space next to the caravan. 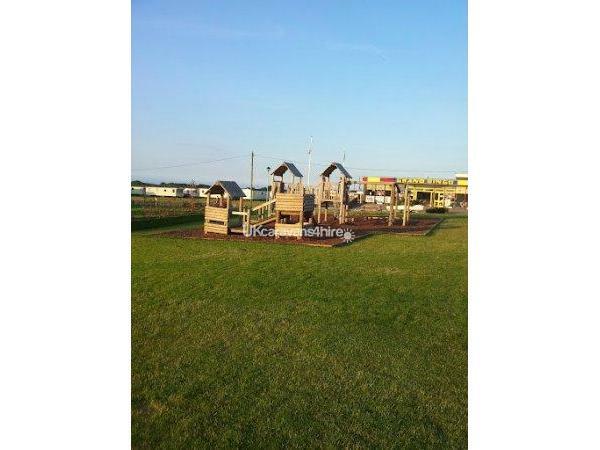 The caravan is ideally situated for all amenities, the beach is only a couple minutes walk from our caravan and is location is great for the little ones as its right by a large grass area and a play park. 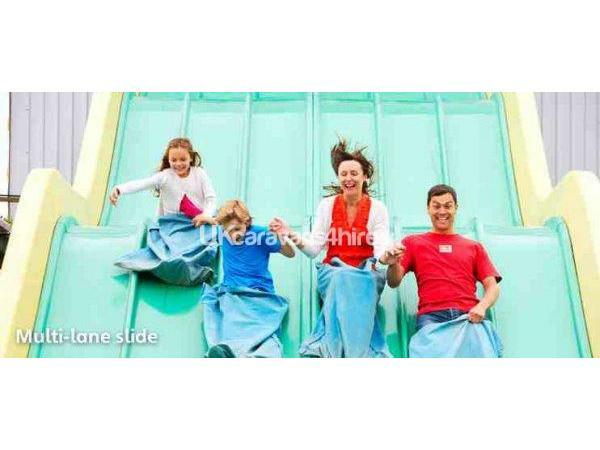 There is plenty of entertainment for everyone of all ages. The indoor swimming pool was new last year. 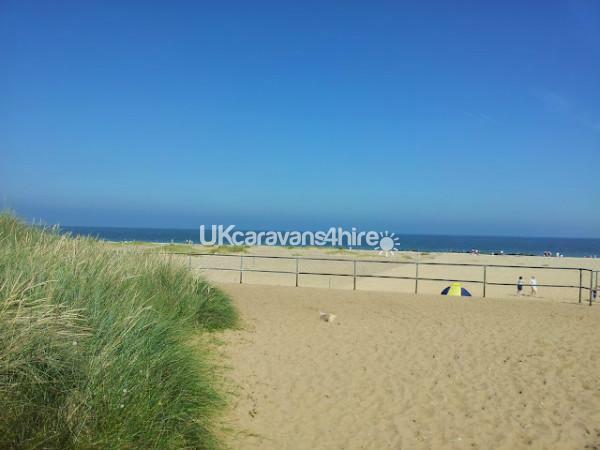 Caister Haven Holiday Park is located approx 2 miles from Great Yarmouth, which has a beautiful sandy beach, a fun fair, big shopping centre and a market. Locally there are supermarkets, Greyhound racing, Horse racing, Pleasurewood Hills theme park and close to the Broads. Entertainment passes (for indoor swimming pool and clubhouse) can be purchased from reception, they are not included in our price. 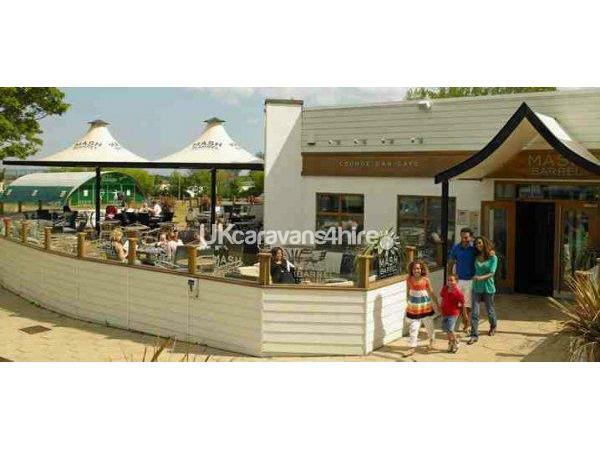 You may arrive at 3pm and must leave at 10.30am you will either be greeted by the owner or the keys will be available at the reception of Caister Haven Holiday Park. A 25% non refundable deposit is required to secure your booking, to be received 2 weeks from booking or the caravan will be re-advertised. Full payment is required 8 weeks prior to your holiday. A £50.00 breakable/damage deposit is required and will be refunded after the caravan has been checked and no breakages or damage has occurred. Good news! If you enjoy your experience so much that you decide to purchase your own caravan through the Owners Exclusive Team and use us as a referral, you will be entitled to a £1,000 reduction in the purchase of your van! Me and my family would highly recommend this site and caravan. 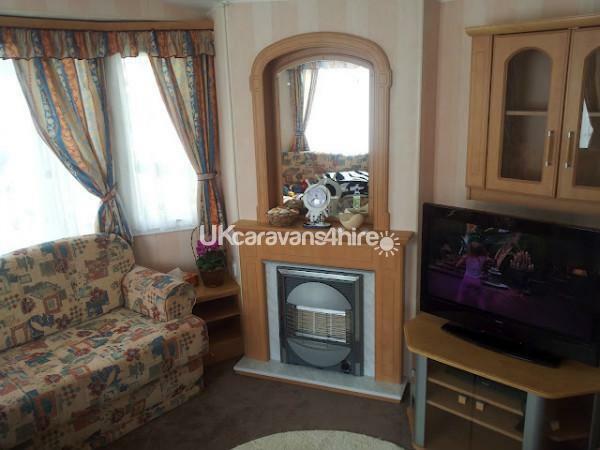 This caravan is very clean and well equipped for large families. 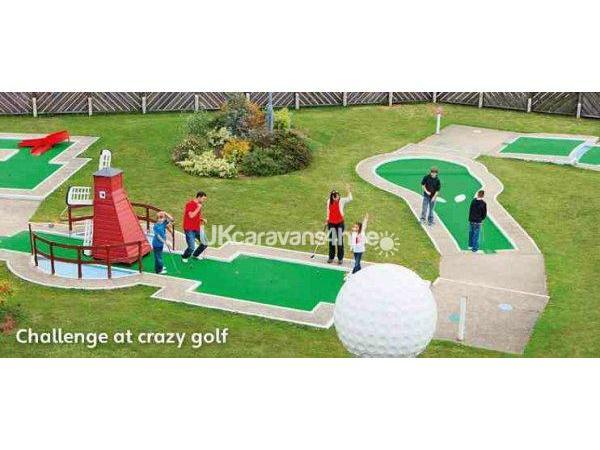 We were a group of 8 and this was our first time using this caravan and it will not be our last as we will be booking this caravan again in the future. The caravan is situated next to one of the parks which was ideal for us as we could keep an eye on our children from the patio area. 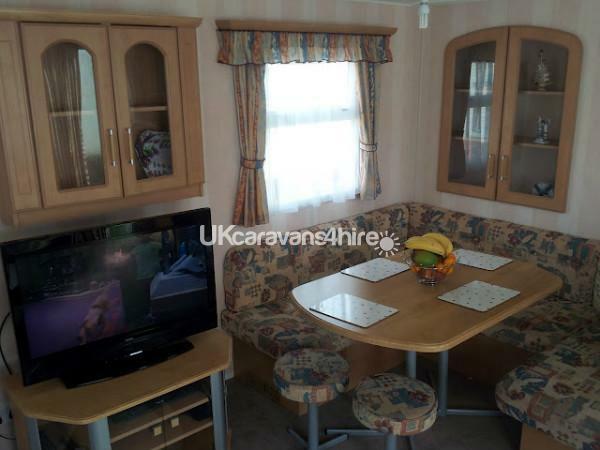 Lived up to all expectations, Excellent caravan, sited in a nice area. Grandkids did not want to go home. This was my first time hiring private as i normally book through haven direct, and i could not have been happier with my choice, Hugo is a friend of my sisters and i contacted him to hire his caravan for a mid week break at easter, and i was very lucky to be able to book it. I stayed with my two children age 16 and 14 and two of their friends of the same age, everything was to our liking the boys loved the fact that their was a massive field right at the caravan to play and the girls loved the new live lounge entertainment complex, and me i just enjoyed the piece and quiet at the caravan whilst they were out.The caravan was very spacious with all the mod cons and more as a result of our most enjoyable stay we are booking up again. 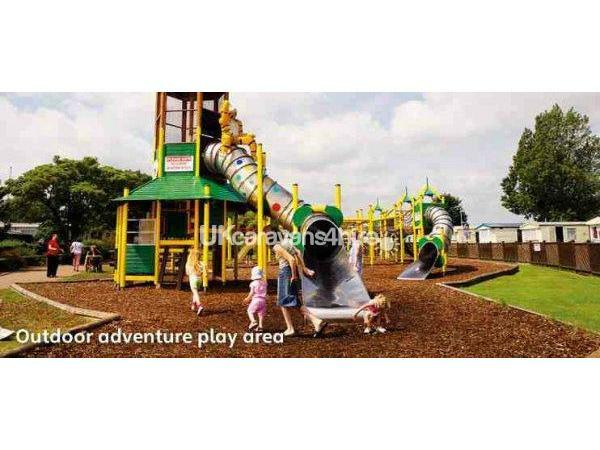 "We have stayed in this park for the second time now, and this time we decided to hire direct from the owners as the price difference was significant, we was initialy wary as we dint know if the caravan would be clean and tidy as an Haven managed unit but all our worries(well the wifes)dissipated once we arrived to a well mantained caravan, the owners had also left coffe/tea and sugar so we was able to have a cuppa before unpacking and taking the kids down to the pool, the caravan location was a bonus as it sits right on the edge of a playground what allows us to keep an eye on the children even from the patio area, its a couple mins walk from the main complex but very quite at night, will be looking to return next year." 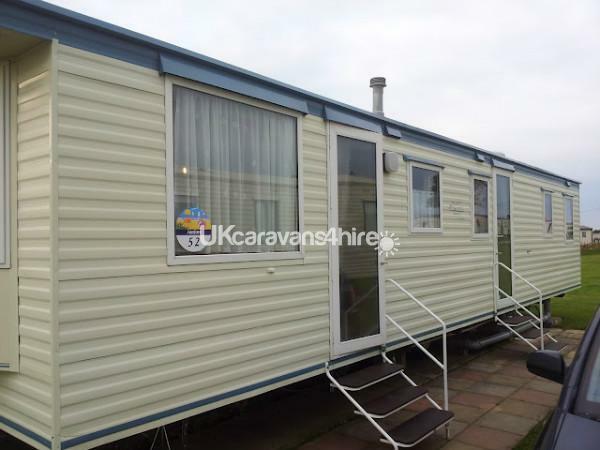 "Recently stayed in this caravan, and it is lovely. Very homely, warm and welcoming. Everything was there that we needed even the tea and coffee. The owners are very friendly and helpful. The caravan is situated in a great place on the park. We will defenetly be returning and reccomending to family and friends. 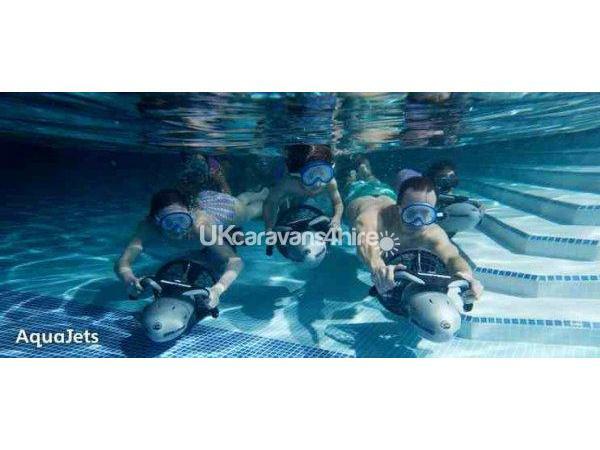 Thank you :-)"
"We have stayed in the caravan and the children had lots of fun as they went swimming, hired bikes and went to the beach as its only about 2mins away. We also went to the live lounge which was great. The caravan was very clean and equiped and we are already thinking about our next holiday." "We have had a lovely stay this weekend, can't wait to come back. Caravan was very clean, couldn't fault it. Vanbees-Green family"
"We have enjoyed our lovely stay this week. We walked in to a lovely clean and well equipped caravan. We would use this caravan again as we can't fault it. Thanks Curtis family"